A long time ago, our screens were graced with an anime called Naruto. Based off of the manga of the same name, Naruto was about a ninja boy who wanted to become the leader of his Ninja Village. 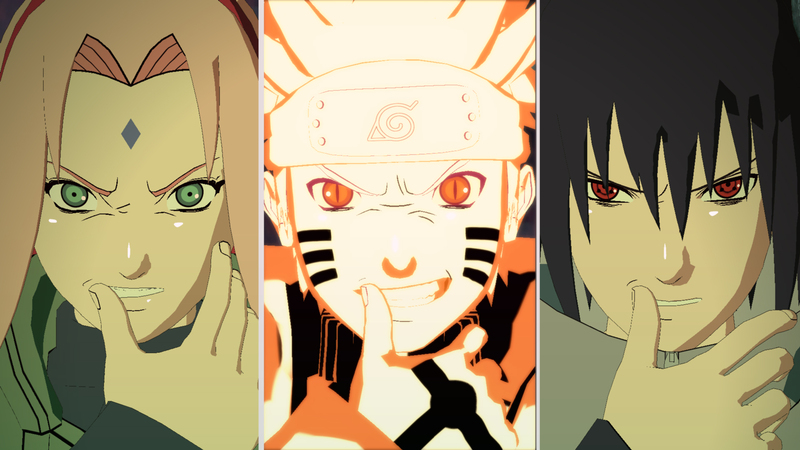 Fast forward some 13 years, 700+ episodes and around 16 games, and you’ll arrive at Naruto Shippuden: Ultimate Ninja Storm 4, the final instalment in the hugely successful franchise. Wow, that’s quite a journey! Believe it! Oh my god, I’m so sorry. I didn’t mean that. Let’s move on. 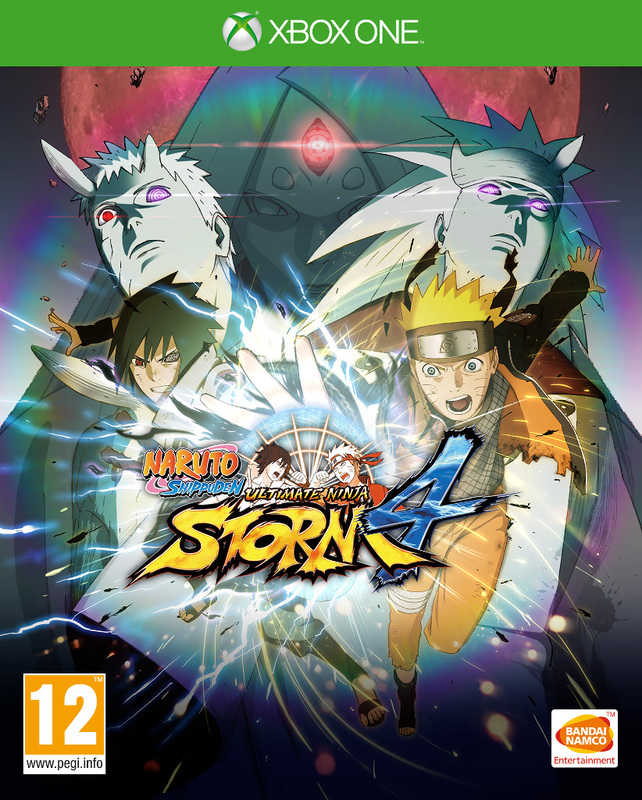 The newest Naruto game (The aforementioned Ultimate Ninja Storm 4, which we’ll be calling Storm 4 from now on) picks up where 3 left off, thankfully, because the games are really the only medium I’ve been following this incredible story through for all of these years. Honestly, the story of the Naruto saga is so impenetrable for newcomers at this point that I’m going to assume you’ve followed everyone’s favourite Ninja throughout his transformation from a friendless, prank-playing rogue who couldn’t even use a simple Replication technique, to a god-tier, demon-fox controlling, Super Saiyan-looking, world saving badass. We join our intrepid hero Naruto, and his massive cast of steadfast allies, as they stand united with the entire Ninja World to stop the machinations of a couple of rogue ninja who want to end the world. By defeating all resistance and channelling the power of the mighty Tailed Beasts (which you know all about, because you’re not insane enough to jump into a series with the 16th game, right? ), Madara Uchiha and his mask-wearing accomplice aim to ensnare the whole world in a massive Genjutsu, a type of illusion, by using the moon. If you don’t keep up to date with the characters and story-lines, it’s easy to lose track of who’s who and what’s what, but the game does it’s best to keep you up to speed with flashback sequences and plenty of exposition. The cut scenes in Storm 4 aren’t directly taken from the anime, but instead adopt a sort of story-board style, with audio overlaid onto the images. Speaking of audio, the game’s default state is English, but you’re obviously going to switch it to Japanese instantly, right? Aren’t you? Surely? This is the first Naruto game I’ve played on a console in a long time; I picked up Storm 3 Full Burst and Storm Revolution on Steam for my PC. And I wish I’d done the same for this one. While Storm 4 is slated as the first instalment built for PS4 and Xbox One, I had huge, and I mean colossal, frame rate issues during action sequences. These didn’t really occur during cut scenes, but happened frequently during battles, especially when there were multiple explosions and the like going on. I honestly found this really, really upsetting because I was so used to the Storm series having beautiful, crisp graphics that rivalled, if not exceeded, the anime, but the stuttering during every other fight left me shaking my head. Other than those issues, the fights are every bit as fast-paced and crisp as they have always been. Over the course of more than a dozen games, CyberConnect2 have developed and honed their fighting system until you’d think they can’t possibly add anything more to the experience, but you’d be wrong. In Storm 4, you can break your opponents’ weapons and armour by attacking certain ways, which can drastically affect the stats a character has. Storm 4 also sees the introduction of elemental damage. If a player gets hit by a fire attack, their clothes can become singed and damaged. It’s possible to get rid of the fire by dashing around the battlefield, or taking damage from water attacks. It’s a nice touch, and you just wish it was one they’d introduced a while ago. Another new touch to the combat system is the ability to swap characters in mid-fight. Each of your characters share their resources, including Health, Chakra and Items. This can be useful to swap to a character while your Chakra is full before launching their Ultimate Jutsu, a devastating attack that’s unique to each character. Aside from these added features, the controls for combat remain simple, with one button used for melee attacks, another for jumps and dashes, one for charging chakra and a fourth for launching your Jutsus. You can change-up your combos by using different directions while mashing your punch button. There’s an obscene amount of playable characters available in Storm 4, and the developers have done a pretty good job of making them all feel different from one another. Each ninja and their abilities, fighting styles and voices have been faithfully recreated, which really helps the immersion of playing your favourite character, even if it’s just during free battles. And of course, there’s a fair few game modes to keep you occupied, like the main Story Mode, and Adventure Mode that takes place after the main story is finished, and online and free battles to keep you fighting for hours after you’ve exhausted the storyline. I ran into some performance issues on Xbox One, but that’s the only complaint I had with Naruto Shippuden: Ultimate Ninja Storm 4. If you’re a fan of the fellow in orange, this is a must buy. If you enjoy fighting games, then there’s content a-plenty here, though the fighting system has always been somewhat basic compared to other fighting series’. But with amazing visuals, the stunning conclusion to an epic saga and intense, quick battles, it’s a fitting farewell to the ninja who’s been around since the early 2000’s. Believe it.